Wow, I’ve been writing this post for a year! I really need to make sure that when I make comments like ‘this looks like it could be serious’ I then don’t follow through with some content! Anyhow, I’ve been thinking about how this article could land and resonate with people. Its going to be one of those rambles (with some practical content) which is based around my experience of what turned out to be quite a complex, and ultimately eye opening experience that not only set a positive technical trend within my organisation – but also taught me some valuable career experiences (honestly; yep I’m still learning even at this ripe old age!). My initial thoughts had been been to base it around at a fundamental level how my organisation went through the decision making processes to move from IBM Notes (stop laughing at the back – I can hear you!) to Microsoft Office 365. I was going to write purely about how we compared products within the Cloud Collaboration space in line with the organisation’s basic messaging and collaborative needs; but, when I got to really thinking about what actually happened over the period of two years before we committed to an actual technology – I realised that it was a far more involved journey than just analysing products against the traditional business requirements of just being able to send mail and provide calendars. For instance – I am sure that we are all aware that when making technological decisions the actual needs of the business should always be taken into account. 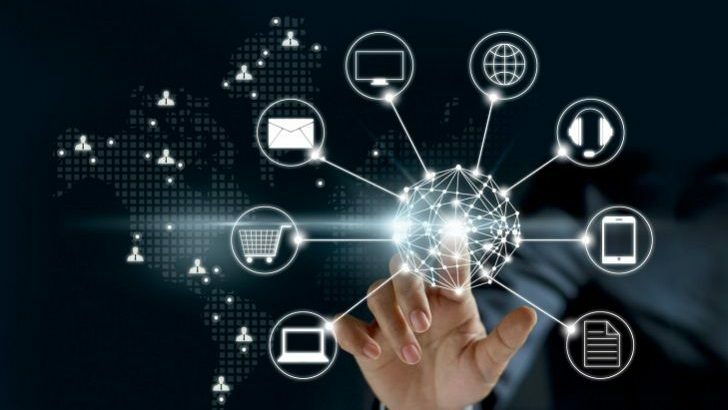 In fact, traditionally IT departments should be business led, rather than the other way around – however now at a fundamental level even that view is now a lot more complicated especially when many companies are embracing ‘Digital’. In essence the business (e.g. the (allegedly) non-technical consumers of an IT service within an organisation) are far more aware of how their own applications function, how they want collaboration tools to work with those applications and they want technology that is easy to purchase and fit in with their working patterns. There is far more awareness within customer bases about what technology can and can’t do – therefore, when it comes to a major system upgrade such as a core email and messaging platform they [sic. the customer] wants a seat at the table in the decision making process. This was something that I wasn’t entirely used to around a mail platform! You see, during my time working my way through the ‘ranks’ – “technical people” tended to make the final choice in relation to something like a mail platform. Generally speaking, as long as the chosen software provided email and calendaring functionality with a familiar interface which bridges the corporate world and the consumer ‘home’ experience the business has been happy. So, why is all the above relevant to my O365 procurement? The continued evolution of platforms such as O365 and G-Suite (or Google Apps as it was at the time) there are wider implications for less obvious line of business applications and productivity tools which can have a profound impact on how our customer bases end up working – this makes the decision making process require far more stakeholder engagement from outside the IT function to encompass intra-organisational requirements. A very simple example being (and not limited too – there are so many products now within O365 which can spread their tentacles into your organisation) most larger enterprises who make the leap to Office 365 will purchase the E3 licensing model – which includes SharePoint online. SharePoint is a beast of a product with many facets; including work flow, Inter/Intranet capabilities, Business Intelligence dash-boarding and reporting (I could go on). If as a business you have made the investment in the E3 licensing and decide to make product SKU’s such as SharePoint available to staff – they will use it; which is understandable. One of the concerns in my organisation’s case with some of the business and digital folks was that if we committed to SharePoint and the uptake was significant – then in the case of Workflow and integration between systems using SharePoint would we end up being locked into a proprietary Microsoft technology – which was not inline with Digital principals (see Digital below). Other concerns raised were around would the new platform support ‘Open Standards’ and ‘Open APIs’ (Microsoft wasn’t seen as being particularly open at the time), however vendors such as Google were seen as non-proprietary and embracing Open Standards and API’s. Ok, ok, this is confusing – what is digital? Is it voodoo? Was it forged in the fires of Mordor? What witch craft do you need to master to wield its Power? Digital is a term which has risen to prominence in many sectors throughout the world – I am sure that many of you have now heard of the term “Chief Digital Officer” perhaps replacing the traditional “Chief Information Officer” – or even the roles being recognised as distinct but performed by one person. Digital or being digitally enabled is especially prevalent within the Public Sector in the United Kingdom where it is seen as one means to drive efficiencies in service delivery during financially hard times. Of course there are other drivers in the public sector – probably the most important being achieving inclusive and accessible IT platforms utilising ‘an Internet of Things (IOT)‘ (otherwise known to us technical folks as devices corporate or consumer (including cars etc) that can connect to the world wide web to do stuff) for your customers to use – but it is still relevant to mention that cost saving is now also a facet of Digital. If I were a complete cynic (I’m partially there and working on the remaining 60% as I approach my mid-life crisis) I would say Digital is to the business as “Cloud” is to the technical sphere. In essence there is no exact matching deliverable or product to say that you are a “truly” digital organisation in the same way that it is difficult to say that you are a truly “cloud” based infrastructure – the truth is that to greater of lesser extents you achieve some level of both – but there is no clear “end state” that marks you as having become either – it’s open to how your interpret what digital (or cloud) is. “Digital is a set of organisational technology values and principals which allow for a business to deliver a better service through technology to an end customer, driving out both quantifiable and non-quantifiable savings with a better more accessible service to customers“. Its important to note that from what I have experienced, a digital strategy is less about recommending specific technologies and means of implementation – but more about how the various channels that your business uses to deliver its services can be “digitised” through the implementation of smart technological solutions. But more so than above should focus more on how your electronic service delivery can be implemented in more inclusive and adaptable ways. A lot of the thinking behind “Digital Strategy or being by Digital by default” is how you break out of a continuous vicious cycle of long procurement, lengthy implementations, problematic data migration and ultimately moving to a new vendor when you at the end of the cycle – only to start again!. and a final year of working out what was available in the market that you could move to from a migration perspective before you started the cycle again! That in many ways is the cycle that a true digital strategy tries to break away from. A number of you might and could be forgiven for thinking (here comes the cynic again) – this is not necessarily a new concept. I would probably agree as to my mind the ethos behind digital have existed for many years – just perhaps hidden in amongst a number of other well meant initiatives that have been spawned by some very smart IT savvy business people over the last two decades. However, it is a term that is here to stay – and being honest; if it serves as a final home to a grouping good ideas where technical services such as IT begin to move towards delivering true best of breed technology systems then I am all for it. So, I now get Digital – what they hell has this got to do with deciding on O365? Products such as G-Suite are cleverly marketed as “disrupters” or more to the point “a different way” can appeal to non-IT Strategic Leaders who otherwise have no technical experience and therefore perhaps do not understand the true implications of change. Digital by default, or indeed a digital approach to providing services is aligned to the idea of disruption, being different and indeed being open – therefore sticking with what is seen as ‘tried and trusted’ vendors is not necessarily palatable. On face value the “total cost of ownership” may seem more attractive of another vendors product instead of O365. However more detailed TOC analysis – e.g. single sign on, interaction with other systems, centralised management, administrative skills retraining, cost of training the customer organisation, limitations in compatibility with common partner organisations (e.g. Google Docs to Word) does (well it did in my organisations case) yield that there is not a huge cost differential between platforms. So, as you can see the selection of a new product was not going to a quick and easy process. Bear in mind that all of this was before we could get to the competitive tender stage (there will be a little more on that in the next part). Speaking of the next part of this series – I will take you through how we evaluated two products and decided which one a fit for the organisation. This included how we reassured the business that a digital approach would not be impacted irrespective of the product choice! hi. i hope you write/post more often. your script is great (remote IP ranges). Finely said, an illuminating take on the role and savvy of stakeholders these days. As an aside, here’s a tip that has worked (very) well for me in desktop-computer migrations/upgrades: moving some very recalcitrant staff from WindowsXP/Office 2007 to Windows7/O365-on-site a few years ago, I found that as long as you brought their desktop wallpaper along and migrated their Outlook nicknames (remembered send-to addresses) as well, they would *happily* forgive any other changes that were unescapable (eg: the “Metro-look” O365 Excel/Word/Outlook as opposed to the “Ribbon-look” O2007 (of course, I worked hard to bring *as much a humanly possible* over as well: Outlook view settings, desktop shortcuts (especially their relative *positions*), taskbar pins, start menu pins, audio volume level, screen resolution/depth [one user in particular was well-known for insisting on 1366×800 nomatter what, otherwise things “just didn’t look right”], and dozens of other personal settings). That in itself earned me enough credit to bring in a new (much faster, but still “darned new and different”) tool to search email archives; but the wallpaper was the thing that had the biggest effect. I suspect that my predecessors had long been using the hated dump-and-run method – “here’s your new computer, you’ll have to tune, configure and personalise it all over again – and don’t call us, we’re busy for the next fortnight”. Conversely, if you forget to bring their wallpaper, you’ll be tarred-and-feathered and not invited to the Christmas party.